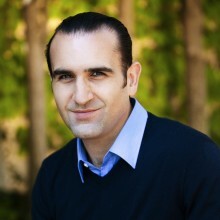 Mood Rowghani joined Kleiner Perkins Caufield & Byers in 2011. He focuses on investments in the firm’s digital practice, targeting high-growth Internet companies that have achieved strong adoption and scale. Before joining KPCB, Mood worked for five years at Summit Partners, where he led the firm’s Internet and digital media practice in North America. Mood was actively involved across Summit’s Internet portfolio, including serving as a director at Announce Media, where he helped lead the take-private acquisition of Answers Corp. (Nasdaq: ANSW). Earlier in his career, Mood was with Highland Capital Partners, where he was actively involved with Vistaprint (Nasdaq: VPRT) and Coremetrics (acquired by IBM). He also spent two years at McKinsey & Co., where he served Global 1000 clients in the high-tech industry. Mood has a B.A. degree from the University of Texas and an M.B.A. from Stanford University’s Graduate School of Business.